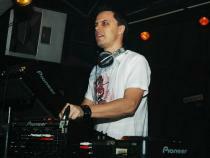 Originally from Germany, now residing in Miami, US, Markus Schulzβ€™s β€dark, moody, melodic tranceβ€ has placed him at number 13 in DJ Magβ€™s top 100 list. He has literally travelled the entire globe in order to play his music in the US, Europe, all over Asia, South America, the Middle East, Russia, Australia and New Zealand. You can catch him on Global DJ Broadcast, a radio show now available on 30 stations all over the world. His extensive remix work has allowed him to work with artists such as Madonna, Depeche Mode, Everything But The Girl and many many more. ·	2006 Kyau & Albert - Are You Fine?